This is a great way to bring the pacifier anywhere without risking exposing to an open air. I like how they created this cases to make mothers feel more secure and also convenient whenever we bring a pacifier for our little one. 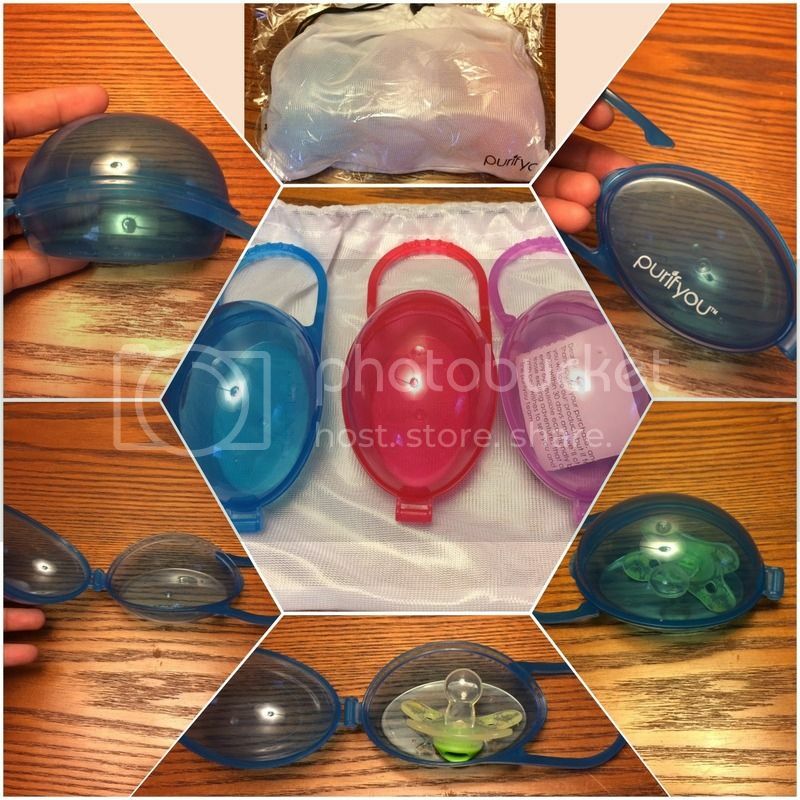 Today, I have the opportunity to review not just one, but 3 different colors of the pacifier cases with sack. The product arrived in the mail via UPS and I don’t see any signs of damage in the product as well as the shipping box that I was able to used it right away. Very lightweight, the color of each case is indeed vivid. The handle which you can hang the cases seems to be sturdy. The cases are strong that you have to make an effort to open it. However, closing the casing is pretty much easy and quick. Washable, dishwasher safe and also FBA Free. The dimension of the case has been also just about right to hold a different sizes of pacifier. Keeps me to have a clean and easy way to find a pacifier for my little one. I would say and would recommend his product to mother’s who have infants. A very useful product to have to keep your baby’s pacifier clean, and versatile product. Oh, I wish I knew about them when my two were little. I like the idea of them in that container to keep them clean. I would recommend this to my friends who have babies. Thanks for sharing! My kids never really used pacifier when they were kids. Those are cool looking though. I didn't know that purifier cases exist. And yeah, I agree that having them is such a good idea for hygiene. My son uses pacifiers (we call it dummy here). However, it's my first time to hear of this purifier. Sounds a very cool one especially for Mums like me! Thanks for the share. Now this is a brilliant idea! For moms out there, this is truly a helpful case. Only if I have known about this way back my little man is still a baby, I'll surely be having this one too! This is so cute to keep the pacifier clean. Fortunately, my kids never liked the pacifier when they were babies. Those are nice looking case for your son's pacifier sis. I wish they had that when my daughter was still a baby. She barely used a pacifier but it was nice to have something like that to keep the pacifier clean and away from the elements. I am already using a pacifier case for my little one and so far I am very much satisfied with it. I would like to try this one too, though. It's cuter! I don't even think there were pacifier cases when I was a child. Good to know they exist these days as the tiny bodies need to be protected from germs!